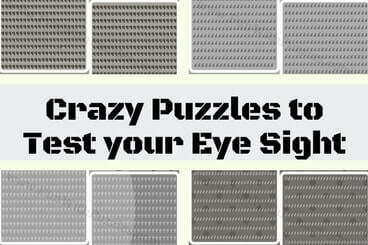 It's time to test your eyesight with the set of crazy puzzles. These puzzles are very much similar to find the mistake puzzles. In find the mistake puzzles, there will be one mistake in the puzzle picture. Similar in these puzzles there will be one group of set and one letter will be different in this set. 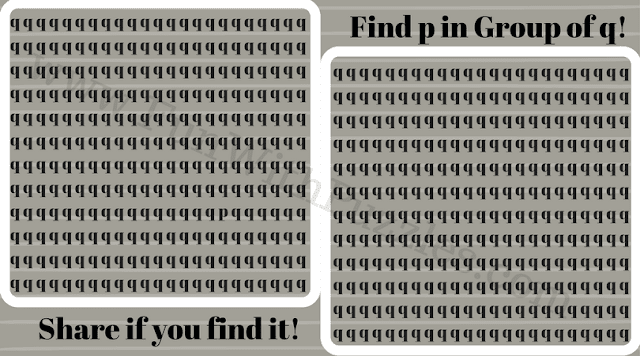 Your challenge is to find out this hidden letter. Earlier we have published similar puzzles like Eye Test Puzzles and Finding the C Puzzles. Do check out these puzzles too if you liked today's crazy puzzles. In these puzzles a group of particular letter is given and in this group only one letter is different. One has to find this different letter. 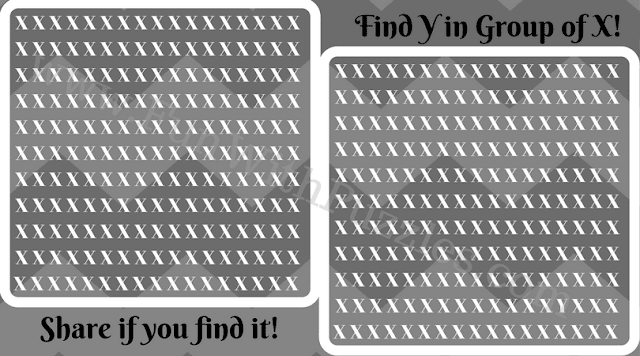 The letter which one has to find in the puzzle is mentioned at the top of the each puzzle. In each of the puzzle there are two different partitions and this different number can be found in any of these partition. Today's post is milestone post for our website as this is the 2000th post on the website. Thanks to all the visitors for making this possible. Crazy puzzles are arranged in the order of its difficulty with 1st puzzle being easiest one and last puzzle being the toughest one among this group. Answers link to these crazy puzzles are given at the end. 1. Can you find Y in this pattern of X? 2. 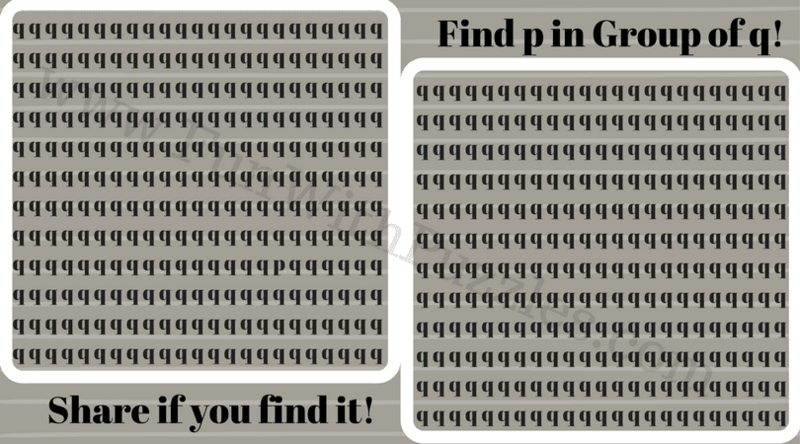 Can you find p in this pattern of q? 3. Can you find b in this pattern of h? 4. Can you find g in this pattern of q? 5. Can you find i in this pattern of t? 1. 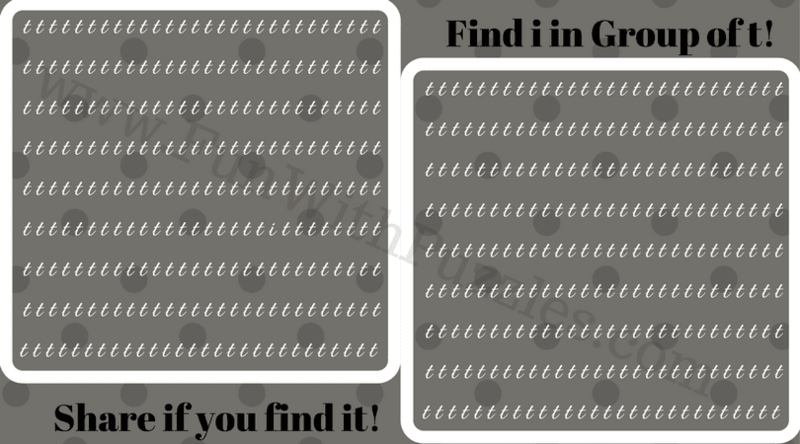 Can you find Hidden Letters and Numbers? 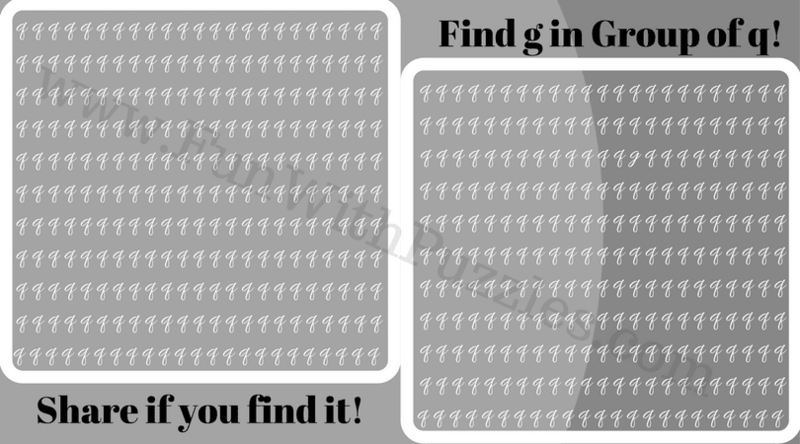 : Here is another set of crazy picture puzzles in which your challenge is to find hidden letters or numbers. 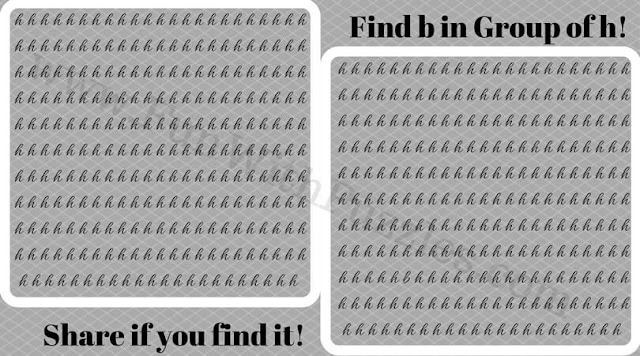 Can you find these hidden letters or numbers in your first attempt? 2. Spot the Different Picture Brain Teasers for teens with answers: Here is your eye test which will blow your mind. In these visual picture puzzles you have to find which picture is different among the three given picture puzzle images. 3. Picture brain teasers and answers for kids: Here are the easy spot the different picture puzzles in which you have to find the wrong picture among given three pictures. 4. Can You Read Upside Down? : Here is the reading challenge in which you have to read the given quotes by famous people. These quotes are given in upside down position to tickle your mind. Here is answer to 6th Brain Teaser Question of post titled "Out of Box Thinking Fun Brain Teasers with answers to Challenge your Mind ". I have hidden this answer to avoid any spoiler. Do select the text below to read the answer.